The Regional Finance Operations Manager works closely with the Senior Regional Finance Operations Manager for the region as well as other Senior Regional Finance Operations Managers, to ensure field office financial structures and systems are consistent with IntraHealth systems and donor reporting requirements. S/he works closely with HQ Program Staff, Country office finance staff, Contracts, Grants & Procurement, Budgeting and Ops Finance Team, Compliance & Safety and Security team and country office technical staff to establish, develop, and strengthen uniform practices and procedures in support of international field operations to the maximum extent practical. This position is responsible for providing financial management and support to IntraHealth’s country programs as assigned in areas such as registration, taxation, inventory management, etc. which are necessary to effectively manage financial risks. A team approach is encouraged; however, specific countries are assigned based on geographic and size considerations. It is expected that s/he will be responsible for a portfolio of between 15 million to 25 million spend per year. 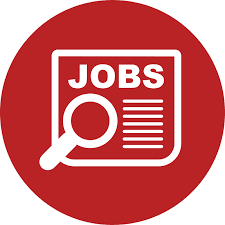 The Regional Finance Operations Manager reports to the Senior Regional Finance Operations Manager for East Africa and will be based in East Africa (Uganda and Tanzania preferred). Establish close working relationships with country office financial and senior management staff. Contribute to the overall IntraHealth country support team. Serve as a critical connection on financial matters between the country office and the Finance & Administration Division in the United States. Provide any accounting reports that may be required by HQ Accounting from time to time, e.g., Balance sheets, P&L, travel information, e.t.c. Work closely with field finance staff regarding compliance with direct project and sub-award expenditures to assist in the follow-up of required sub-award compliance matters such as risk assessment, reporting, audits, etc. Backstop as necessary in the event of an absence of in-country financial staff. Understanding and interpretation of USG Assistance and Acquisition rules and guidelines. Extensive experience supporting USG funded complex health projects including annual work plan and budget development, financial and risk management, USAID rules and regulations, and project and financial reporting. Contract management experience highly desirable. Demonstrated ability to work with internal stakeholders (i.e. HR, Finance, Contracts and Grants, Programs, Communications, and Business Development) and with external stakeholder groups (i.e. funders, government officials, the private sector, civil society, faith-based) and facilitate participatory discussion and joint decision-making. Ability to travel internationally and domestically approximately 25% time. Innovation-Develops new, better or significantly different ideas, methods, solutions or initiatives within your role that result in improvement of IntraHealth's performance and meeting objectives, results and global commitments. Accountability-Holds self and others accountable for all work activities, research and personal actions and decisions; follows through on commitments and focuses on those activities that have the greatest impact on meeting measurable high-quality results for IntraHealth's success. Exercises ethical practices, respectful words and behaviors, and equitable treatment of others in all activities. Service Excellence-Knowledge of and ability to put into action customer service concepts, processes and techniques to access internal and/or external client needs and expectations and meet or exceed those needs and expectations through providing excellent service directly or indirectly. Strategic Thinking-Applies organizational knowledge to identify and maintain focus on key success factors for IntraHealth while recognizing, anticipating and resolving organizational challenges. Ability to develop organization and industry-specific expertise and apply sound decision making processes to reach productive resolutions that translates strategy into actionable business plans. Client Relationship Management-Knowledge and ability to determine and satisfy client needs (internally and externally) and maintain partnering and productive relationships during engagements, including influencing, communicating, presenting, facilitating, and managing new relationships. Effective Communication (Oral and Written)-Understands effective communication concepts, tools, and techniques; ability to effectively transmit, explain complex technical concepts in simple, clear language appropriate to the audience; and receive, and accurately interpret ideas, information, and needs through the application of appropriate communication behaviors.